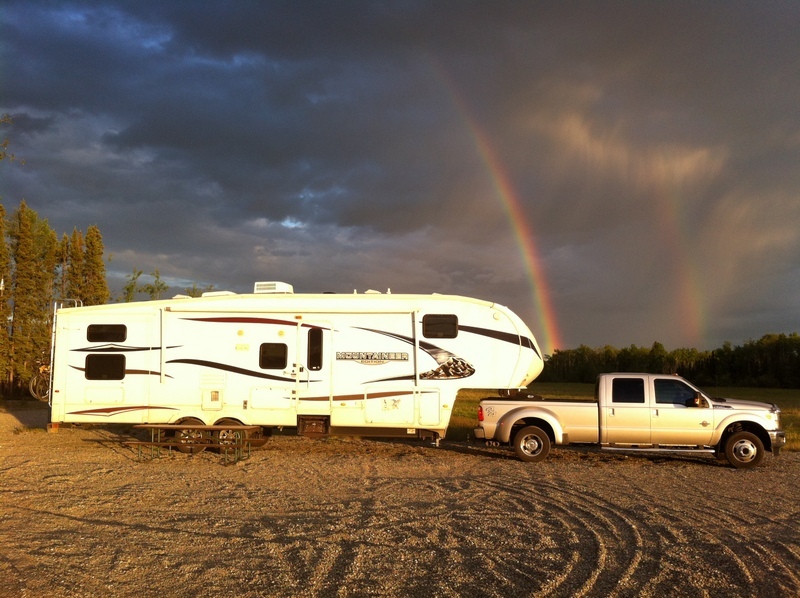 Double Rainbow, all the way…… | Hey RV There Yet? ← Maine – Made it! Full-on Double Rainbow all the way……. Alaska is magical!!!! We took this picture traveling just north of Denali. This is a county park that we overnighted. Note, the picture was taken at 1am (morning) – look how bright everything is. Yet another magical Alaskan moment.